It's Top Tips time! 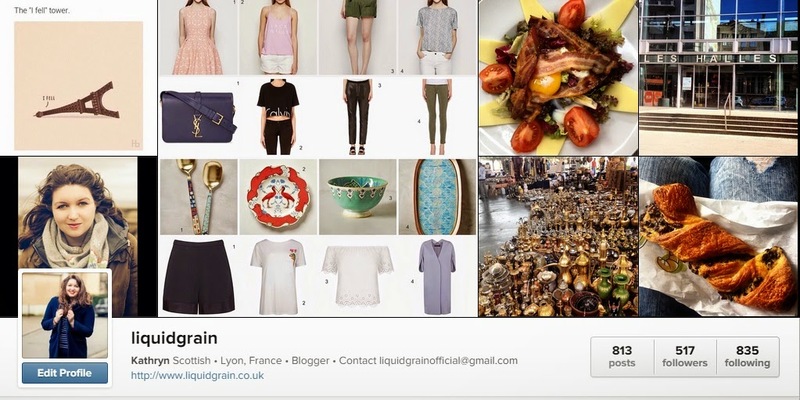 You might remember recently I wrote about the social media strategy I used on Liquid Grain. If you missed it you can check it out here. As part of that post I mentioned how to post an Instagram photo on Twitter not as a link. That whole post was one of the longest I've written (because social media is maaaaasive), so I decided that I would do a more in depth post on how to make your lovely Instagram photos on Twitter not as a link but as a photo. If you have an Instagram you will know that if you post a photo and try to click the Share on Twitter button, this will share your photo on Twitter but not as a photo but a link. I think this is to do with a silly political thing between Twitter and Instagram but I don't know the real reasons. But I do know that a link doesn't look great on your Twitter feed, what you want is your beautiful photos on Twitter as well as Instagram! So head over to IFTTT and install a fancy pants recipe to make your Instagram photos appear as Twitter ones- like this one. It's super easy to install, just put your details in and off you go! Now here is the top tip- you're going to want to try it out straight away! DON'T!! Give it a few hours, then test it out. Do NOT press the Twitter button on Instagram! It's all linked up now and it will post automatically. Now if you head over to Twitter straight away and it's not posted DON'T WORRY! The first few times are kinda slow (I don't know why), but I've used it for over a year now and it's instantaneous. And that's it, off you go!